Most of the content on this website is for people who have reached that netherworld of intermediate language skills in Italian. What do you do if you are just starting out? 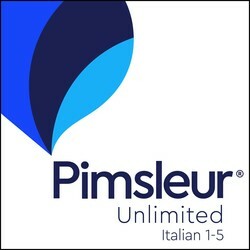 Pimsleur Language Programs. if you are a beginner, this is an excellent place to start. It requires only 30 minutes a day for five months. When you’ve finished this program you will be able to speak and understand! An Easy Reader. For beginners I highly recommend Easy Italian Reader by Riccarda Saggese. You can start reading immediately. Yes, you will understand it! WordReference. This online dictionary is essential for learning languages. Besides the translation dictionaries there are conjugation tables and forums where you can ask questions of native speakers. The forums are already full of questions others have asked and they are very well organized. If you are not already using this resource, I highly recommend you do. Yabla. Yabla is an excellent online language learning tool. 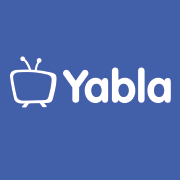 It allows you to watch short videos, including cartoons, Italian TV shows, movies, commercials, or educational pieces created specifically for Yabla, that include verbatim subtitles and English translations that you can follow along with. It is a great resource for developing an “ear” for spoken Italian. Yabla is not free, but it’s pretty cheap for what you get. It’s about $10 a month but you can get a discount if you pay by the year or if you study more than one language. RAI. RAI is the state television company in Italy. There is a wealth of video online here from Italian television. One of the television shows that you will see on Yabla (above) is Il Commissario Manara (click on “puntate” for the shows). If you are more advanced, you can watch whole uninterrupted episodes on RAI (but without the subtitles or translation that you get from Yabla. You will definitely want to be more advanced before you try this!) If that’s not enough for you (you are very advanced!) you can try a show like La Nuova Squadra Spaccanapoli . Reverso Context. Reverso Context is a collection of translations of words and phrases in context. They are made by real people and listed according to how many people translated the phrase in the same way. A lot of phrases in a foreign language are idiomatic and are not translated word for word from English (the way Google Translate sometimes does it!) So Reverso Context is essential for attaining advanced language skills. There is now also an iPhone app.